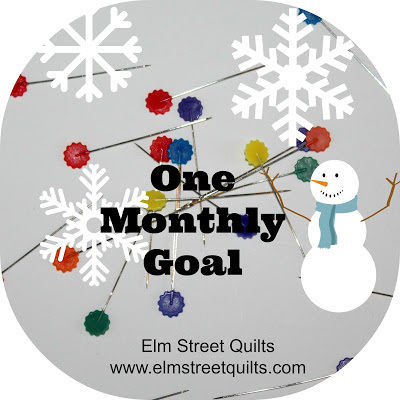 I'm back to report on my One Monthly Goal for January. My goal was to make a first year quilt for my son's teacher and I'm happy to report that the quilt is finished and gifted! I didn't get to make the delivery in person, but I know mom did receive it. 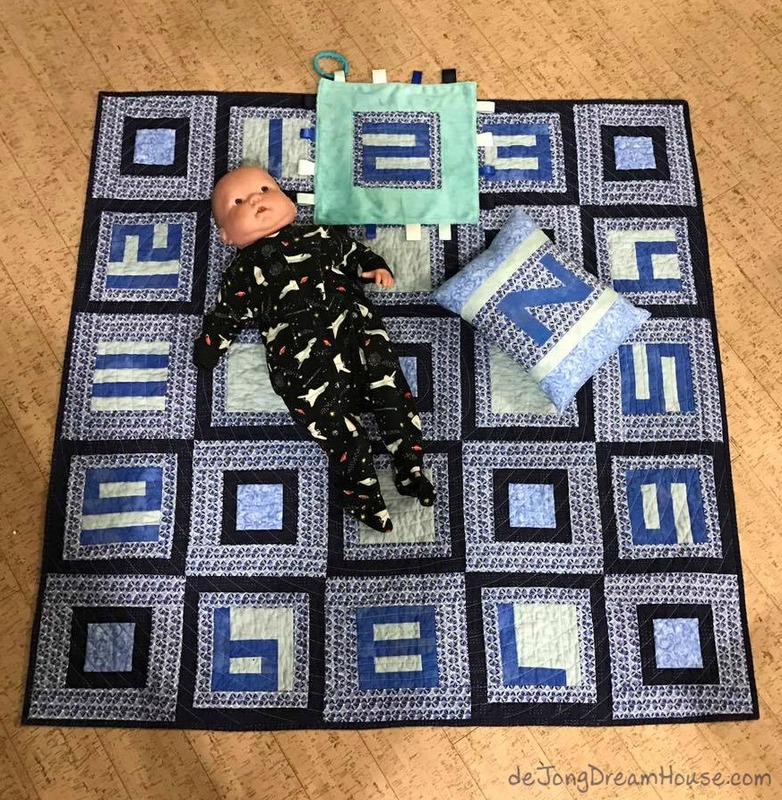 I wrote a separate blog post about this quilt already, but to recap for those just joining in, my goal for January was to make a quilt that mom (or dad) can use as a background for each month of baby's first year. I also liked the idea of using numbers because mom is a dance teacher (...5, 6, 7, 8!) 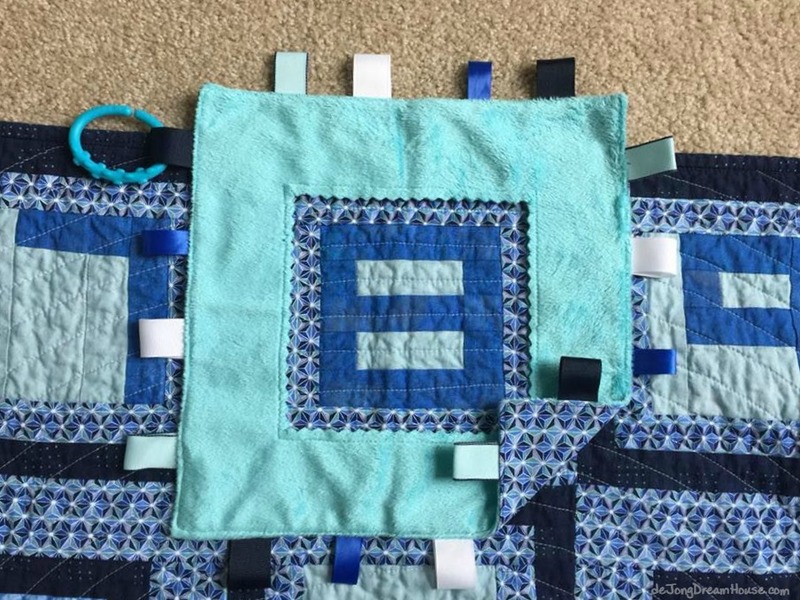 I was surprised how few number quilts I found out there on the interwebs, especially given the popularity of alphabet quilts. I usually try to include a coordinating taggy blanket with my quilts. With this one, I cut out the center of the taggy so it can be used to frame the number of each month. My newly 8-year-old son pointed it out that the quilt works for big kids, too. As far as the rest of my goals...meh. It wasn't a super productive month in the craft room. The first week of January was spent driving from Arizona to Ohio, and then recovering from said trip. The second week of January was spent hosting our new Korean son, Joong Ho, who stayed with us for his first week in America before settling into his apartment near campus. Joong Ho is the second Korean student we've hosted, so D was able to put the flag shirt I made for him last year to good use again. On the 15th I turned 45, and on the 21st, I "celebrated" the 13th anniversary of my brain injury with a headache, vertigo, and brain fog that keep me in bed for most of the week. I didn't even step into my sewing room. On the plus side of my health issues, the finger I sliced with my rotary cutter is completely closed. I'm still hoping to regain feeling on the thumb side of my finger, but so far it's still rather numb. But it's so nice not to have to change that bandage! So here we are at the end of January and I was rushing to finish a few things on this list. 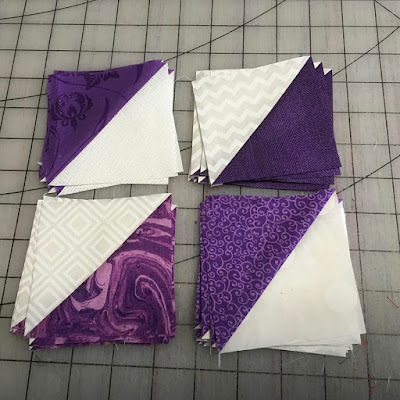 Mystery quilt: catch up and keep up - I only finished step 5. Bee Hive 2017: complete first month block - DONE! Our first Queen selected Blossom Heart Quilt's Ripples Block. This is the block I sent. Milky Way Quilt along: January block. I finished my Sirius block with a trippy metally black from RJR Fabrics and two prints of Moda Grunge. Hexies: total of 100 - didn't do a single one! Replenish fidget supply. I did this out of necessity, I had several post-Christmas word-of-month sales. I made duplicates so I have a few ready for future orders. Open Etsy Shop. - My brain injury reminded me why I keep my sales low key. I'm not going to create an Etsy shop. Put craft table on casters. - We bought some casters, but that's as far as we got. Now head over to Elm Street Quilts OMG January Finish link up to see what other quilters have finished this month. As far as my February goal? Check back soon for a new post! What a great quilt! Thanks for linking up with Elm Street Quilts One Monthly Goal and congrats on your finish. Love the 1st year quilt. Very clever idea! Thanks for linking up with TGIFF @ A Quarter Inch from the Edge!